The powerful and frenzied end to the Six Nations on the weekend which saw 27 tries scored in three matches has sent a timely warning to the southern hemisphere giants ahead of this year’s Rugby World Cup. Ireland managed to win back to back Six Nations titles and like last year they won on points difference but this year came within 6 points of losing the title to England. Ireland, England and Wales were pegged level atop the table and playing for points in a thrilling climax to a tournament which also brought out the worst in Italy and wooden spoon winners Scotland, and finally some French flair. 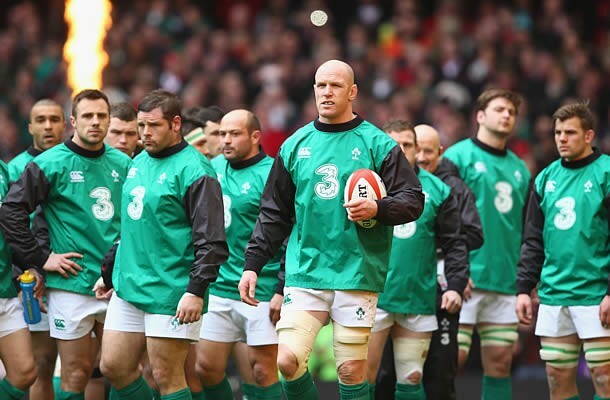 The Irish went on to defend their title on points difference from the English and Welsh, the trio of countries all displaying an attacking bite many critics argued had been lost in the increasingly tight, kick-dominated, defence-driven structures of professional rugby union. With just 180 days to go before the World Cup, reigning champions New Zealand, Australia and South Africa will take note. Australia in particular will have watched England’s rip-roaring 55-35 victory over France and Wales’ 61-20 hammering of a woeful Italy with wide-eyed interest. The Wallabies have been drawn in the same World Cup pool as hosts England and Wales, as well as Fiji and Uruguay, meaning they could also be playing for points difference in six months’ time to ensure a top-two finish and progress to the quarter-finals. 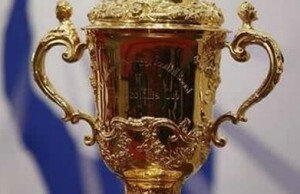 Former Wales No 8 Eddie Butler, now a respected commentator, wrote in his Observer column that “at least the countries that have won the Webb Ellis Cup six times have sat up”. “Europe can play. With a crazy sense of adventure. Never has such a day been seen in the Six Nations Championship. 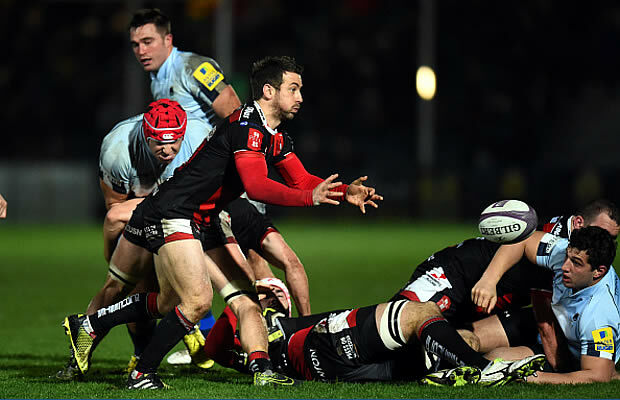 It may change a great many things in concussion-conscious rugby,” Butler gushed. Ireland, with Kiwi coach Joe Schmidt bringing out the best of a classy all-round team, look best set for the World Cup, their sole defeat in the Six Nations coming away against an inspired Welsh team. The Irish beat Australia and South Africa in November and the theme to the victories and those in the Six Nations was controlling the game from the off and defending their lead – something they failed to do in Cardiff. Former Ireland captain Brian O’Driscoll argued, however, that the Irish missing out on a whitewash of their rivals was a good thing. 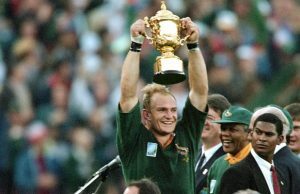 “If we had won the Grand Slam there would have been an insane amount of pressure,” O’Driscoll said. With a ranking of third in the world, that prospect is hardly likely ahead of a World Cup where they have been drawn with Six Nations rivals France and Italy, Canada and Romania. As well as an established pool of experienced players led by the magnificent Paul O’Connell, Schmidt also has fine playmakers in Conor Murray and Jonathan Sexton, with Ian Madigan increasingly looking like a superb option from the bench. England also seem to have settled on their half-back pairing in the revitalised Ben Youngs and George Ford, whose tactical astuteness is partnered by his ability to punch well above his weight. Captain Chris Robshaw, who also skippered his team to victory over Australia in November, claimed that victory over France was a huge step towards making Twickenham a real fortress come the World Cup. 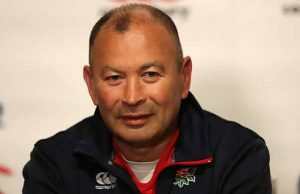 “We have won another Twickenham game and we are building up a head of steam at the stadium going into the World Cup, which is a positive. We are playing well at home,” he said. It is perhaps no coincidence that Wales have also discovered their best half-back duo in Rhys Webb and Dan Biggar, a stability that the ever-tinkering Philippe Saint-Andre has failed to instil in his France side. Wales coach Warren Gatland has long insisted that he was training his team with the goal of peaking for rugby union’s showcase global tournament, adding they would go to the World Cup “confident we can get out of that group and progress to the quarter-finals”. “There is no fear about playing England at Twickenham or Australia as well because we know we will be in good shape as long as everyone stays fit and clear of injuries,” Gatland said. As for the French, it is perhaps defending champions New Zealand who will have kept the closest eye out, notably at Les Bleus’ game performance in their defeat by England. If you go by the formbook, money would be put on Ireland topping Pool D, with France as runners-up to go on to play the All Blacks in the quarter-finals, bringing back queasy memories of 2007 for any New Zealander. But Saint-Andre, who has used almost 100 players since taking over after the 2011 World Cup when France surprised everyone by reaching the final – and almost winning — might need to stop tinkering so much and pick a settled side. There is no doubt there is massive strength in depth in France, but the national team’s play looks too mechanical with a lack of constancy in the personnel stripping away much spontaneity as the team plays to textbook. At the other end of the scale, Scotland and Italy were nothing short of woeful in the Six Nations, rudderless in defence and toothless on the front foot, albeit for a few bright moments.